Welcome to the SubAqua Imaging Systems (SAIS) website. SubAqua Imaging Systems celebrated one decade of operation in 2016. Founded by Ronan Gray in October of 2006, the company designs and manufactures underwater cameras, lighting and all the supporting equipment required to operate them. We are a collection of engineers with many years of mechanical, electrical and software design experience in the marine industry. We all share a commitment to excellence and pride in our work that is reflected in the products that we design. One particular focus and special expertise of SAIS is in Ethernet systems and components that enable the live streaming of underwater video using IP cameras and IP controlled lighting from anywhere in the world. 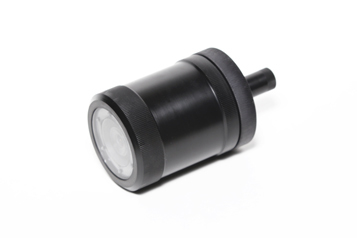 These components are also used as components in machine vision and autonomous systems where control of the camera and lighting is achieved via HTTP command. We are located in San Diego, California the world's most active hub in the marine technology industry with numerous manufacturers of underwater products such as cables, connectors, cameras, lights and sensors all located here. The expertise, technical facilities and technical resources available in San Diego for producing underwater products are unmatched anywhere in the world. SAIS strives to design the most robust solutions at the best value for our customers. Our products are designed, fabricated and assembled in-house in California, USA by SAIS engineers, machinists and technicians. Every device is tested to its rated depth in our in-house pressure testing facility before shipment. SubAqua Imaging Systems designs and manufactures cameras and lights for use underwater, however, our abilities extend to anything that needs to be placed underwater in a secure and robust housing. As a small firm, SAIS is uniquely positioned to meet the needs of many scientists, engineers and professionals in the marine industry. By keeping our size small and our overhead low, SAIS is able to offer a variety of specialized design services for custom items that are needed in small or limited quantities. There are many times when larger firms cannot or will not tackle exactly these types of small projects that are so prevalent in this industry. Custom projects have included, general purpose housings, ROV components, Ethernet switches and router junction boxes, temperature sensors, heart rate monitors for marine mammals and topside recording and live-streaming stations. Thank you for visiting our site and we look forward to hearing from you. Contact us today with your design needs for underwater equipment. SubAqua Imaging Systems is pleased to announce a new product. The SAIS COMPACT CAM is a rugged underwater Ethernet camera with full 30 frames per second at 1080p and an optional zoom lens The COMPACT CAM, can be powered using Power over Ethernet (PoE) or 12 - 48 VDC from an auxillary source. Integrated motion alarms and I/O lines allow for detection and triggering of relays or other devices. Once triggered, footage can be stored onboard the MicroSD card in the camera for later retrieval and review.